Are you looking for a flat marathon that provides you with coastline views for the duration? If so, come join us on Dec. 11 in Biloxi, Miss., and run in the inaugural Mississippi Gulf Coast Marathon, which is our community's first-ever marathon. 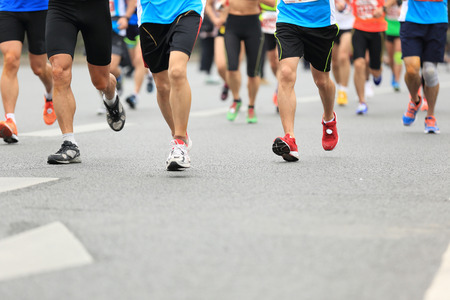 Are you interested in joining in on the fun, but a marathon may be asking a bit much of you? Take advantage of the other races taking place during this exciting weekend. The three-day running festival starts with the Expo, which will be open from 11 a.m. to 7 p.m. on Dec. 9 and 10 at the Mississippi Coast Convention Center. Note that you will need to pick up your packet during this time as race day pick-up is not available. Those who want to experience this incredible event while running a much shorter distance should enter the Mississippi Gulf Coast 5K, which starts at 8 a.m. on Dec. 10. Young ones can enter their own marathon, the Mississippi Gulf Coast Kids Marathon, which lasts 1.2 miles and begins at 9:30 a.m. on Dec. 10. Runners ready to take on the longer races will cross the start line at 7 a.m. on Dec. 11, which is when the marathon and the half marathon will start. After each of those races, runners can celebrate at the Coors Light Finish Feast – Beach Party & Kids Zone, which will be held at MGM Park, a facility that also serves as the home of Biloxi's professional baseball team. The marathon will start in Pass Christian, Miss., which is located to the southwest of Biloxi, and runners will then get to enjoy views of the Gulf of Mexico as they make their way alongside the world's longest man-made beach through Gulfport and to Biloxi, the cultural centers of South Mississippi. In fact, few marathons worldwide offer as much coastal exposure as this one will while the historic homes and beautiful casino resorts that will be passed are breathtaking as well. After finishing the race, many runners will take their weary legs and explore what Biloxi, Gulfport and the rest of the region has to offer, which includes fantastic restaurants, museums and a number of outdoor attractions such as golf courses. To be honest, eating will likely be first on the minds of most runners as they immediately start recovering from their incredible achievements, and those who enjoy barbecue and seafood will especially enjoy the food selection available in South Mississippi. Note that the marathon time recorded here can be used to qualify for the Boston Marathon, and many will be doing just that thanks to how flat this course is. The weather should help quicken those times as well as Biloxi experiences an average low temperature of 46 degrees on Dec. 11, which is probably about what it will be when the race starts. The average high temperature on that date is 63 degrees. If you are looking for lodging or a hotel for this event please check our New Seasonal Rates.